In 2000, The Coconut Oil Miracle was published. In the book, I listed all the health properties and benefits mentioned in the medical literature and made sure to cite references. I also listed a few of the traditional benefits that have survived the test of time, again with citations to reliable sources. 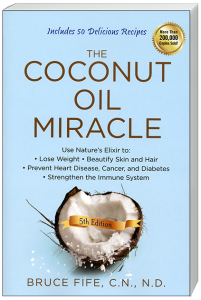 Not long after the book came out, readers began contacting me to share their success stories using coconut oil. I love to hear success stores because it lets me know that the research findings that I describe in my books are being seen by users and that the benefits of coconut oil aren’t just theoretical or isolated to laboratory settings, but can be experienced by people in everyday life. People reported how coconut oil helped them overcome infections, improve digestion, boost energy, aid in weight loss, improve blood cholesterol and triglyceride values, lower blood sugar levels, and overcome troubling skin conditions, all of which were described in my book and were backed by scientific evidence. 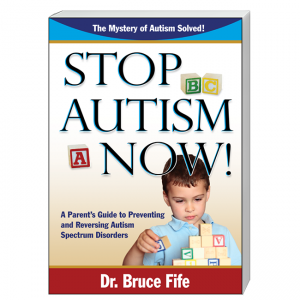 They were all believable and helped to substantiate the research findings described in my book. However, some people would tell me how coconut oil had helped them with a health issue that I had not mentioned and for which there were no studies or scientific rational to support the effect they reported. I viewed these reports with some skepticism. By nature I am very skeptical of health claims on any product and I need a solid scientific explanation as to why it works or see some valid published studies before I’m willing to accept it. Too many health claims are made for products that have no basis in science and are supported only by unproven theories or personal stories from enthusiastic believers. Such claims are notoriously unreliable. People can become so excited about a new product that the positive effects they report are simply in their imaginations. I made a mental note of these stories, but paid little attention to them. Over time, however, I began to hear a few stories repeated over and over again by different people. I could ignore a single isolated incident, but when numerous people began telling me how coconut oil helped them or family members with the same problems, I began to take notice. That was too much of a coincidence to ignore. Simply because there were no published studies to substantiate these effects, at that time, it didn’t mean that they were invalid. It just meant that more studies needed to be done. Some of these stories involved conditions like Parkinson’s disease, MS, diabetes, cancer, and epilepsy. For many years epilepsy had been successfully treated using a special diet known as the ketogenic diet. The ketogenic diet is one that is very low in carbohydrate and high in fat. Carbohydrate in our diets are converted to glucose in the body and glucose is the primary fuel for our cells. A diet lacking carbohydrate must rely on stored fat for most of its energy needs. Therefore, body fat is broken down into fatty acids to be used as fuel in the absence of glucose. Some of these fatty acids are converted into another type of fuel known as ketone bodies or ketones. The brain has a particular need for ketones in the absence of glucose. Ketones themselves have therapeutic effects on the entire body but especially the brain. This is why the ketogenic diet has been so successful in treating epilepsy. In recent years the diet has proven equally as successful in treating other neurological conditions such as Parkinson’s disease, MS, and Alzheimer’s disease. Ketones also have positive effects on diabetes, cancer, and other health problems. MCTs are naturally ketogenic. When coconut oil is consumed, many of the MCTs in the oil are automatically converted into ketones regardless of the amount of carbohydrate in the diet. Here was the connection between neurological disorders, like epilepsy, and coconut oil. I began to research the ketogenic diet and its relationship to MCTs. This lead me to the missing link between coconut oil, and many of the success stories people were telling me about that otherwise had no scientific justification. The original, (or classic ketogenic diet) was developed in the early 1920s specifically to treat epilepsy. Unlike drugs used to treat the condition, the ketogenic diet allows the brain to heal, and in many instances, can dramatically reduce and even completely eliminate seizures. However, the diet is harsh. To reduce blood glucose and promote the production of ketones from stored body fat, dietary carbohydrate was reduced to 2 percent of total calories. To make up for the missing carbohydrate calories and to supply additional fat for the production of ketones, fat intake was increased to at much as 90 percent of calories. The remaining 8 percent of calories came from protein. Although the diet is very therapeutic, it was difficult to manage. Meals took special efforts to prepare and quickly became unappetizing. Many patients could not tolerate the diet for long, and as more drugs became available, they opted to go the drug route. In the 1970s it was discovered that MCTs from coconut oil were naturally ketogenic, that is, they could be converted into ketones regardless of how much carbohydrate one ate. 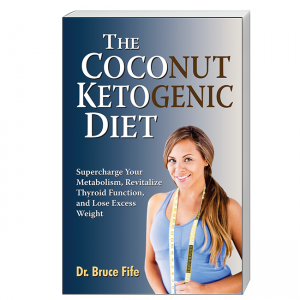 The use of coconut and MCT oils as the primary source of fat in the ketogenic diet has reduced the requirement for total fat calories to about 50 to 60 percent, with the same level of effectiveness as the classic ketogenic diet. This has allowed for the addition of more carbohydrate and protein. The modified MCT ketogenic diet, is better tolerated because it allows a greater variety of foods to be eaten, which makes the diet more palatable and nutritious. It also makes the diet far easier to implement without special training from a dietitian, so anybody can benefit from a ketogenic diet with some basic instructions. Replacing some, or most, of the fats in the ketogenic diet with coconut or MCT oils, enhances the therapeutic effects of the diet. Eventually, it was discovered that if you consume enough MCTs in an ordinary diet, you could raise blood ketones to mild therapeutic levels with results approaching that of the ketogenic diet. Studies have uncovered many health benefits associated with ketones. Ketones are considered a superfuel for the body, providing up to 25 percent more energy than glucose. They improve oxygen utilization by the cells, and increase blood flow to the brain by 39 percent, increasing circulation and oxygen delivery to this vital organ. Unlike glucose, ketones are easily absorbed into cells without the need of insulin, and therefore, are not hampered by insulin resistance. They enhance immune function and stimulate the production of white blood cells. They have a strong anti-inflammatory action, and signal genes to increase production of protective antioxidants, such as glutathione. Ketones activate special proteins in the brain that regulate brain cell function, maintenance, and repair. Ketones being made of fat, provide the basic lipid building blocks for the growth of new brain cells. 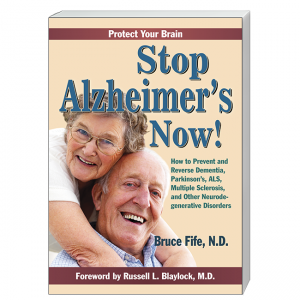 They protect the brain from the sticky amyloid plaque deposits that develop in Alzheimer’s patients. They interfere with cancer cells’ ability to absorb glucose, increase cancer cells’ sensitivity to chemo and radiation therapy, and protect against the awful side effects caused by these therapies. Ketones improve insulin sensitivity and help moderate blood sugar. The list goes on and on. Of course, all the claims in these books are backed by published studies and further fortified by actual success stories. 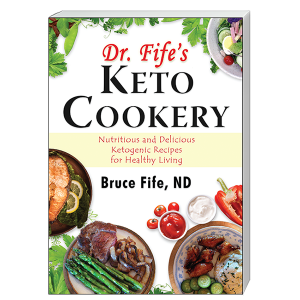 Each of these books describes the benefits of ketones and the ketogenic diet, and how the incorporation of coconut oil into the diet can successfully treat many previously untreatable conditions. 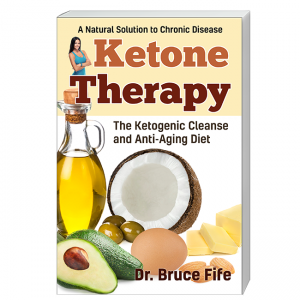 My most recent book, Ketone Therapy, describes the therapeutic uses of ketones and how coconut oil and the ketogenic diet, separately or together, can prevent, stop, and reverse many chronic, degenerative conditions and produce an anti-aging effect—again, all documented by published research. I would like to point out that only oils that consist primarily of MCTs, namely coconut and palm kernel oils, have this ketogenic effect. None of the above benefits can be found with olive oil, flaxseed oil, krill oil, borage oil, or any other so-called healthy oil because none of these other oils contain any MCTs. Coconut oil is truly a superfood that surpasses all other dietary oils in terms of health benefits. In fact, there is probably no other food, in any category, that provides as many benefits as coconut oil does.